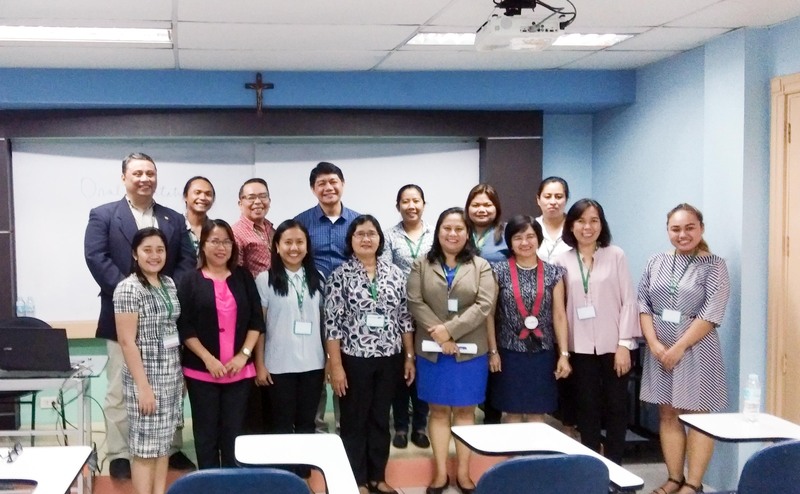 On 17 May 2018, members from the Faculty of Education of the University of the Philippines Open University (UPOU FEd) delivered oral paper presentations in the 18th Philippine Society for the Study of Nature (PSSN) Annual Scientific Conference: International Conference on Nature Studies and Innovation for the Environment (ICoNSIE) 2018. The panel presentation was entitled “ODeL Framework for Environmental Education: Practices, Potentials, and Challenges”. Composed of five oral paper presentations, the session detailed vital principles and workflow in open and distance e-learning (ODeL) practice that can be also be applied in the creation of online environmental education initiatives. ALL SMILES. UPOU FEd members join other speakers for a group photo. Dr. Maria Ana T. Quimbo (first row, third from the right), a UPOU FEd affiliate faculty, also delivered a presentation. Dr. Ricardo T. Bagarinao, the UPOU FEd Dean, established the need for an environment-literate society with his presentation on “Putting Environmental Education in the Web: Practice and Experience from an ODeL Institution”. Dr. Bagarinao emphasized that the growing number of unresolved environmental problems in the Philippines calls for an increased awareness of the people, as well as improved knowledge, skills, and competencies of those individuals who are engaged in environmental management. According to him, online environmental education could potentially respond to this call. Dr. Bagarinao then cited the important requirements in the development of an online environmental education as follows: (1) clear framework of operation; (2) strong student and faculty support; (3) strong course development support; and (4) clear administrative guidelines, policies, and support. Each of these requirements was given life by the presentations of the other members of the panel. Ms. Rhonna Marie R. Vereña, a university researcher at FEd, presented the framework under which the Faculty in particular or UPOU in general is operating. Her paper “Open and Distance e-Learning: A Framework for Environmental Education” discussed the ODeL framework of UPOU, where she emphasized the integration of the features and affordances of open learning, distance education, and e-learning to develop the ethos of a university. This includes academic freedom, honor, excellence, and public service. She said that the ethos should bring about social transformation. Ms. Vereña highlighted the importance of the framework in effecting environmental education in the web to produce an environmentally-concerned society. On the other hand, Ms. Rubielita G. Parcon, FEd’s university research associate, explained the significance of a strong student support, as well as faculty support, in translating the ODeL framework in a web-based program. Her presentation entitled “Student Support in an Online Learning Mode: Practices and Procedures”, Ms. Parcon underlined the need for an efficient and effective student and faculty support, since everyone is operating at a distance. She said that the support should help reduce the anxiety created by spatial and temporal distance between the teachers and learners. She presented examples where support services for students and faculty were done at FEd. As part of the development of an online environmental education, course development requires a strong support from the developers themselves and from the institution. Ms. Pauline Grace R. Milante described the importance of establishing a strong support for course development in an OdeL learning environment. Her paper on “Supporting Course Material Development in an ODeL Institution: ‘The What and How’” provided an overview of the course material development process in an ODeL institution. She highlighted the importance of establishing a quality circle in the process, which ensures the quality of materials being produced and delivered in an online learning. According to her, UPOU ensures that the quality circle should have a content expert, critic or reader, instructional designer, multimedia specialist, language editor, accessibility expert, and gender specialist. Her paper also presents the importance of open educational resources in developing course packages. 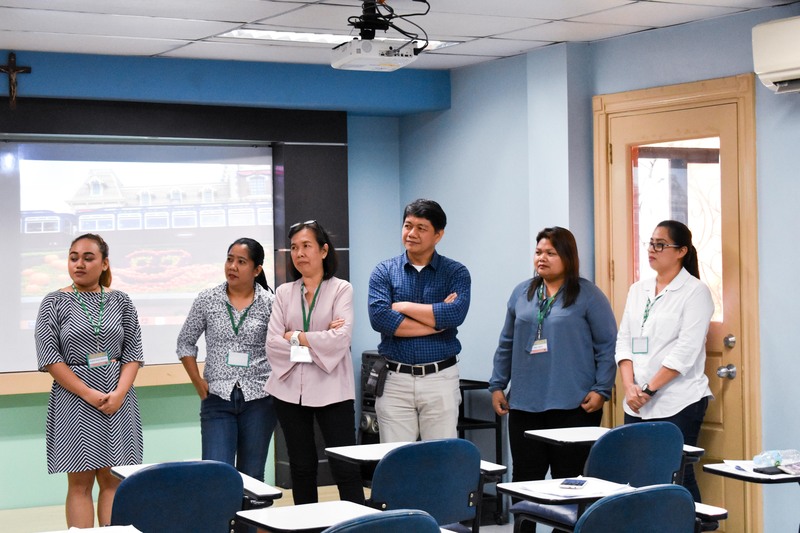 Ms. Eden M. Salon and Ms. Lorelee R. Mones, administrative staff at FEd, underlined the role of administrative support in putting environmental education in the web. In their paper, they emphasized their experiences in providing administrative support to faculty members. They tried to connect the academic functions of the Faculty with the administrative processes in their paper “ODeL Administrative Support: Linking the Academic and Administrative Function under the Faculty of Education”. Ms. Salon and Ms. Mones stressed that administrative support should be effective and efficient to be able to achieve quality and timeliness in delivering services necessary in meeting the academic and administrative requirements of program development and implementation in ODeL. Their presentation has listed some of the support services given to faculty and students. UPOU FEd members participate in a Q & A Session after the panel presentation. Presenters include (L–R) Ms. Pauline Grace R. Milante, Ms. Rubielita Parcon, Ms. Rhonna Marie R. Vereña, Dr. Ricardo T. Bagarinao, Ms. Eden M. Salon, and Ms. Lorelee R. Mones. The 18th PSSN Annual Scientific Conference: ICoNSIE 2018 was held last 15–18 May 2018. With the theme “Connecting the Dots for the Environment and Humanity”, the event focused on bridging the research gaps apparent in human–nature interactions. Aside from oral paper presentations, the conference also had parallel sessions, and best paper and poster paper competitions.